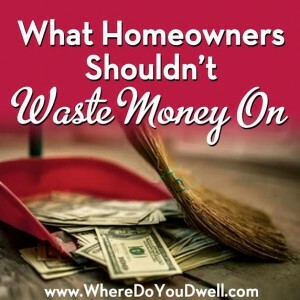 No one plans to waste money purposely… but sometimes it happens, especially when it comes to our homes. As a first-time homeowner (and even those who are more seasoned), you don’t want your excitement over a new home to crank-up your spending. Owning a home already adds new expenses compared to renting. At any point in time, you have to spend money unexpectedly for a repair or a replacement, so make sure you always have enough savings on hand and avoid making any of these costly spending mistakes. Wanting a HGTV home right away. Do you love design and renovation shows and want your home to be like the “after” shots as soon as possible? Stop this urge and make yourself live in your home for some time with your existing stuff before you make any major purchases (i.e. sectional couch, four-poster bed, dining room table), too many minor purchases (i.e. linens, curtains, rugs) or any drastic renovation decisions. We tell clients to give themselves a year until your house starts to feel like “home.” Spend time in it before you do too much, learn how you live in your home first and then buy accordingly. Don’t try to fill empty rooms with artwork, furniture, or decor “bling” like you’re in a race. Make thoughtful purchases and save up for the good stuff you’ll love for years to come. Enjoy the actual process of making over your new home by taking your time – you’ll save money along the way and your rooms will truly reflect your personality! Bypassing Do-It-Yourself attempts. You may have a yard now that needs to be mowed or raked, or a larger home with more bathrooms to clean. Try to see if you can manage some of these new chores yourself before you hire a lawn care service or a cleaning service. That could save you hundreds of dollars each month. Some fix-it tasks don’t necessarily need a handyman or a plumber. Learn to handle some DIY skills on your own. You can check out YouTube videos, get step-by-step instructions from home improvements websites, or attend free in-store workshops in your community. Not updating some of your old “habits.” Do you buy a cup of coffee every morning on the way to work? Did you always have cable when you rented? Now that you’re a homeowner, you can reevaluate some of the things you did as a renter. Buying a home is like a clean slate where you can start some money-saving habits right away. You now might have more counter space for a coffee maker and can brew yourself a cup (or cups) before you head out. The upfront cost will pay itself off before you know it. Or, it’s time to rethink how you watch your TV shows. There are so many choices out there that can better match your TV-watching style while saving you money. Keep looking for ways to save in your new place….What about a rarely used gym membership or the stack of constantly used take-out menus? Paying for that extended warranty. Sometimes major appliances aren’t included with your home purchase or they don’t need to be replaced right away. 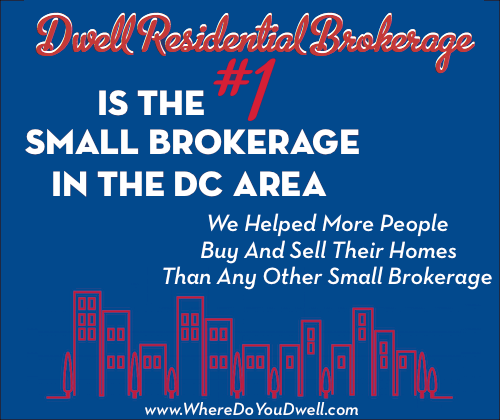 Most of us look for sales and good deals before we buy a refrigerator, washer, dryer and other appliances. That’s why you should think twice before you agree to an extended warranty. That extra money could be better used or saved for your own cash flow purposes. If something does break, it can cost less than what you put into the warranty OR that particular problem might not be covered at all. You should also check your credit card also to see if it offers a year of extended warranty on purchases. Last piece of advice about home warranties—you could pay annually for one and it will cover all appliances and more! Not shopping around for homeowner’s insurance. Don’t get into a rut when it comes to insurance. Look for a policy that better protects your home and your pocketbook. Many new buyers stick with their previous renters or auto insurance company. That’s great, but make sure you really know what’s being covered and the cost for their homeowner’s policies AND then compare this to other companies. Keep in mind that having more than one policy with the same company might get you a discount. So ask about any savings if you purchase both your auto and homeowners insurance policies from a company. Not taking your home’s energy efficiency seriously enough. Your home can cost your hundreds of dollars a year and you might not even know it. Get yourself an energy audit to see where your home is wasting energy.